Many historians will argue that the quality of Greek armour in comparison to that of the Persians is one of the reasons that the Greeks were able to defeat their enemy during the Persian Wars. The armour predominantly used by the Greeks during these wars was the linothorax. This article will examine this type of armour explain how it was manufactured look at the questions we still have about the linothorax and discuss the protective values of this linen armour. 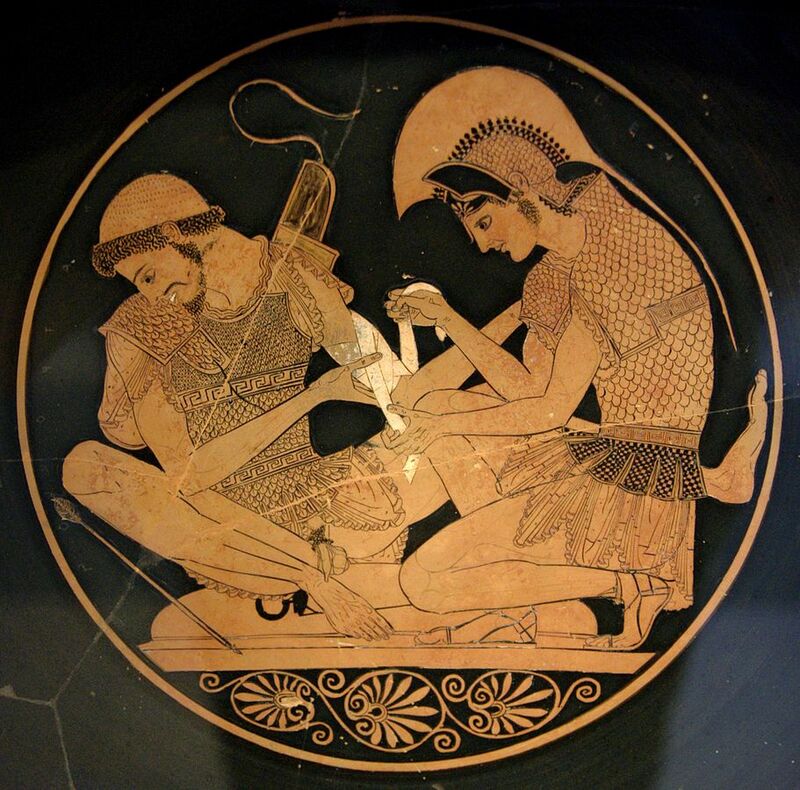 Although our focus is on the Greeks, the linothorax was used by a number of Mediterranean and Near Eastern peoples. Strabo tells us that it was used by Spanish warriors, the Chalybes in the northeastern Asia Minor used the linothorax according to Xenophon, Herodotos mentions the Assyrians and Phoenician sailors using it and Livy even mentions the Samnites employing the linothorax. There is some debate about when and how this particular armour was first adopted by the Greeks. It is clear that the armour was adopted around about the same time that hoplite tactics became popular in Greece. The question really is whether the tactics led to the development of the armour or whether the armour led to the development of the tactics the purposes of this article the order is fundamentally irrelevant. We know that the tactics relied on armoured soldiers and the armour relied on group tactics, either would have been less effective without the other. There is also some debate surrounding materials used for the creation of the linothorax as a result of the fact that no examples have survived due to the perishable nature of the armour Some scholars suggest it was made of leather, others suggesting it was metal covered in leather like the Vergina cuirass found in the tomb of Philip II of Macedon but most agree that the armour was made from linen. The flexibility of the armour as depicted on vases of the time clearly precludes metal manufacture, in my opinion, additionally we know that there was a plentiful supply of flax used in the manufacture of linen and the sources clearly suggest that it was made of linen. 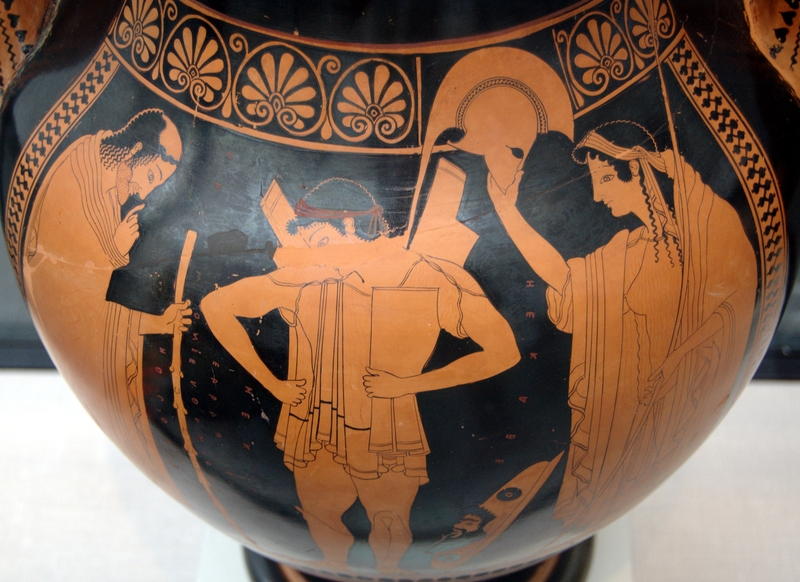 This image illustrates a Greek hoplite donning his linothorax. This indicates both the flexibility of the armour and the manner in which it was tied together. The armour is manufactured by gluing layers of linen together to form a solid, yet still flexible, armour. Tests have demonstrated that thickness was more important than number of layers and that a 10 mm thick linothorax possessed the best combination of flexibility and protection. Numerous weapons tests against functional replicas have illustrated that the linothorax provided significant protection against enemy strikes and could even withstand arrows even at close range. Tests have indicated that a 10mm thick linothorax provides the same level of protection as a bronze cuirass 2mm thick. 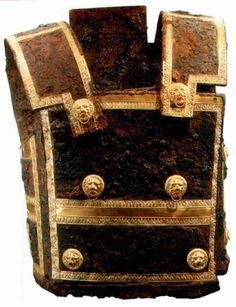 However the bronze cuirass would have weighed approximately three times as much as the linothorax, which would also have been cheaper to produce. Some wealthy Greeks were also known to further enhance their armour with the addition of thin bronze or iron scales as pictured above.